Our specialty clinic for thyroid surgery offers diagnostic work-up and surgical treatment of thyroid disorders. We also perform in keyhole surgery which result in minimal or ever no visible scars. 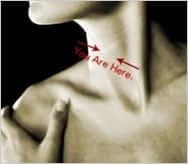 The thyroid is a butterfly shaped gland found in the front of the neck. It produces the hormone thyroxine, which controls many important metabolic processes in the body. Problems can occur if nodules develop (as these may be due to cancer), or if it becomes overactive (toxic).